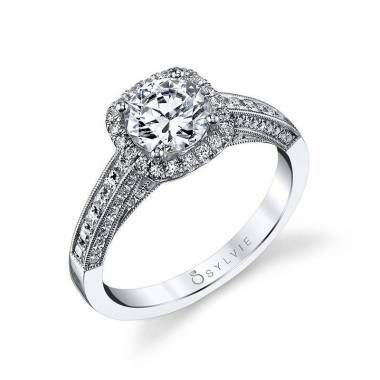 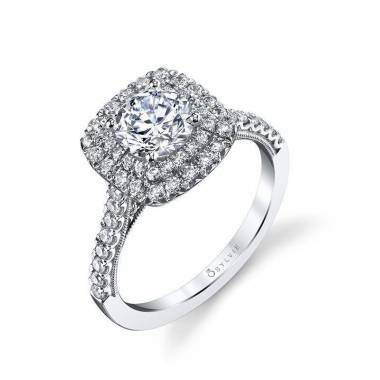 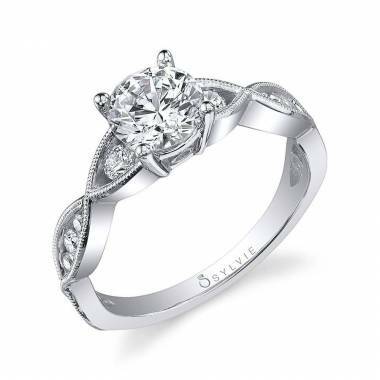 This exquisite white gold halo engagement ring features a stunning 1 carat round brilliant diamond center set inside a unique cushion shaped halo of pave diamonds. 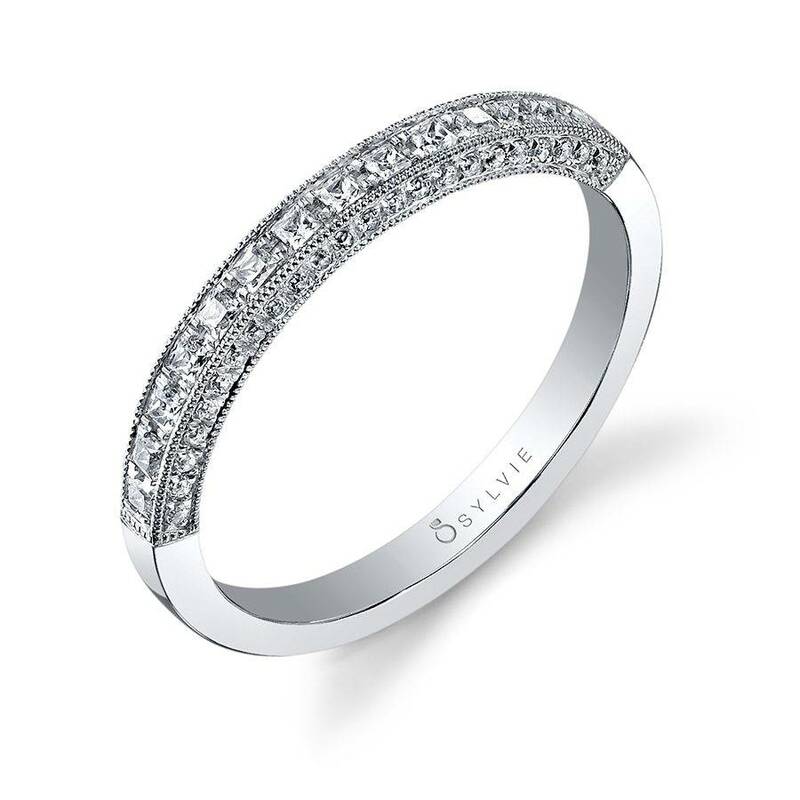 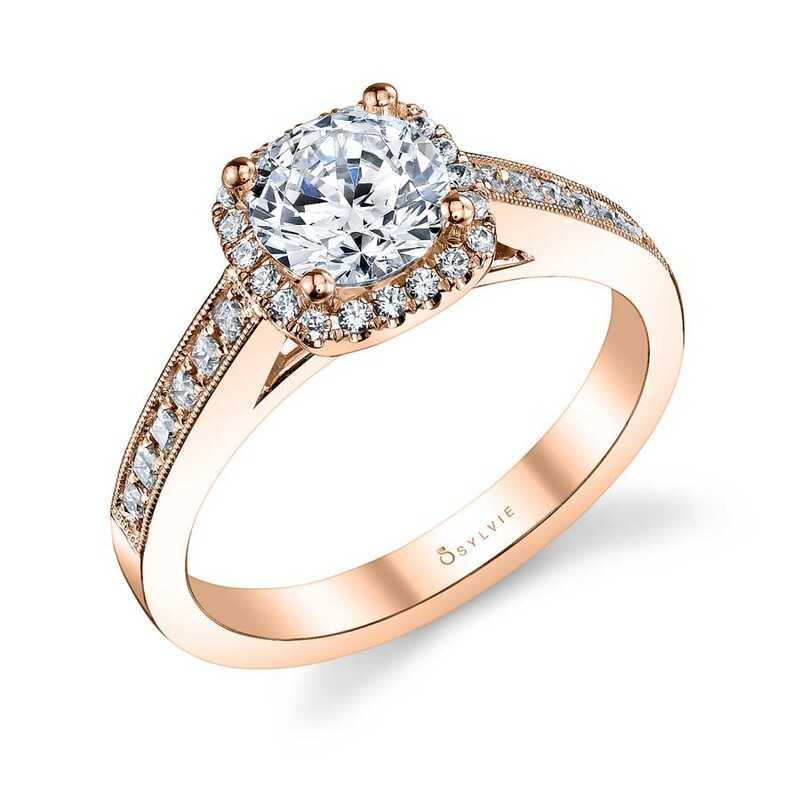 The intricate details on the shank contain princess cut diamonds flowing down the band and set inside a channel with milgrain accents, and the side profile and undercarriage reveal shimmering round diamonds also set in channels with milgrain accents. The total carat weight is 0.43.